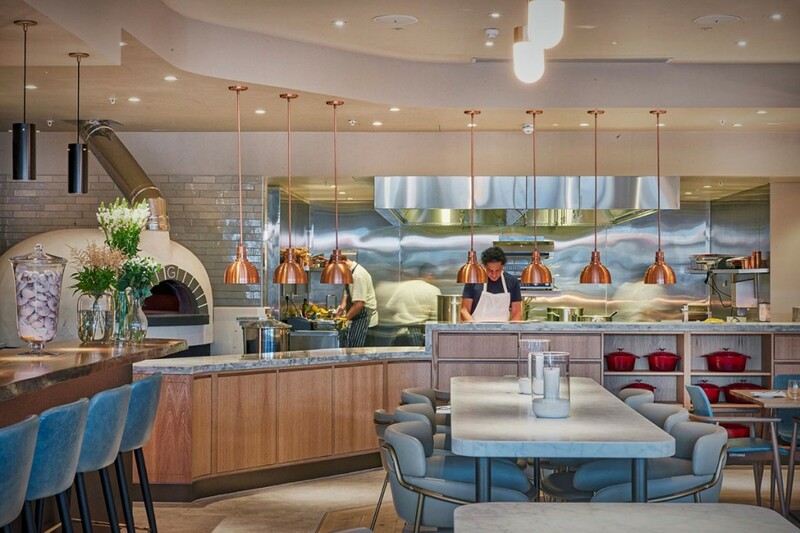 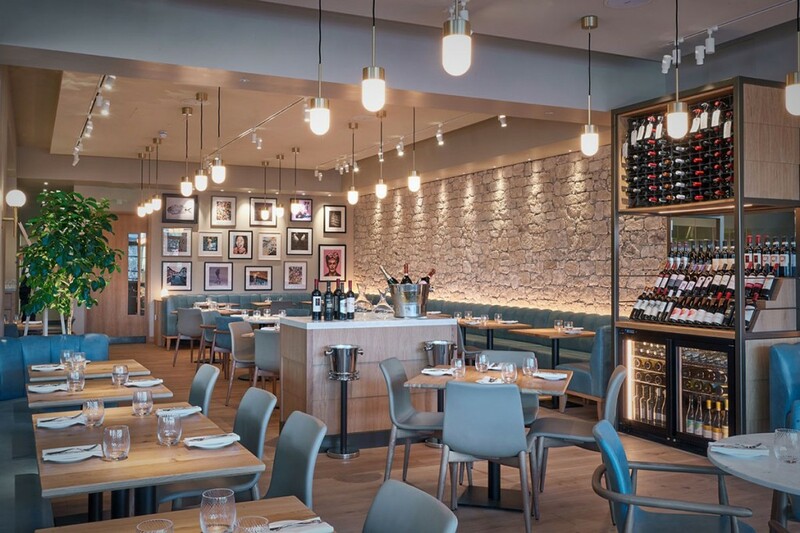 into lighting have worked with D&D London and interior designers Macaulay Sinclair to realise their vision for Fiume, the new Italian restaurant from Chef Francesco Mazzei and D&D London. 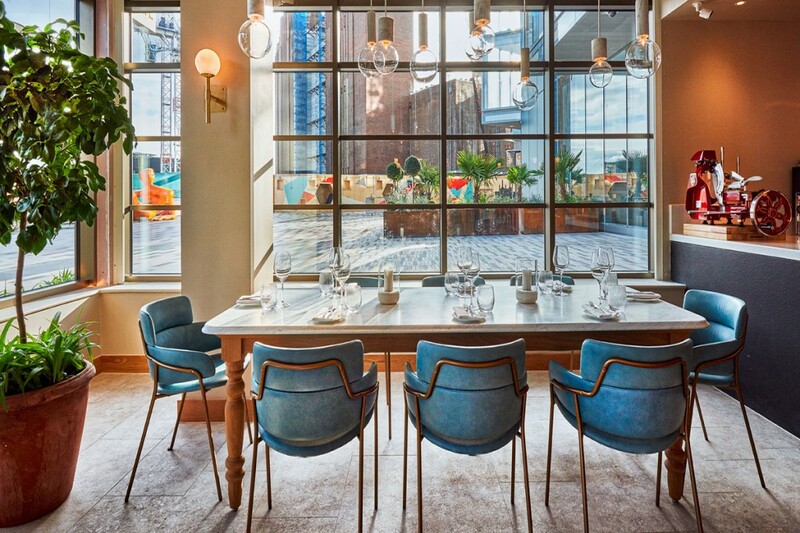 Fiume (the Italian word for river) sits right on the bank of the River Thames in Battersea Power Station’s Circus West Village. 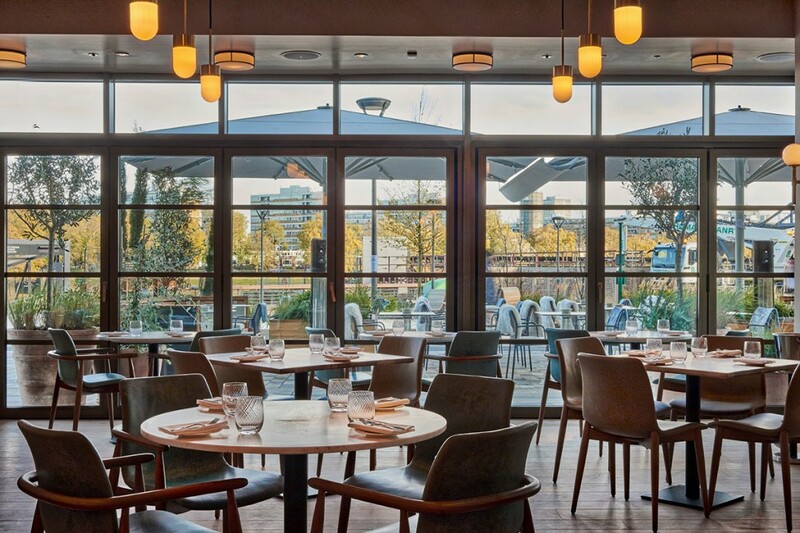 With unrivalled views of the Thames and a large Mediterranean piazza-style terrace to enjoy them from, the restaurant is the perfect setting for tucking into rustic southern Italian recipes and aperitivos. 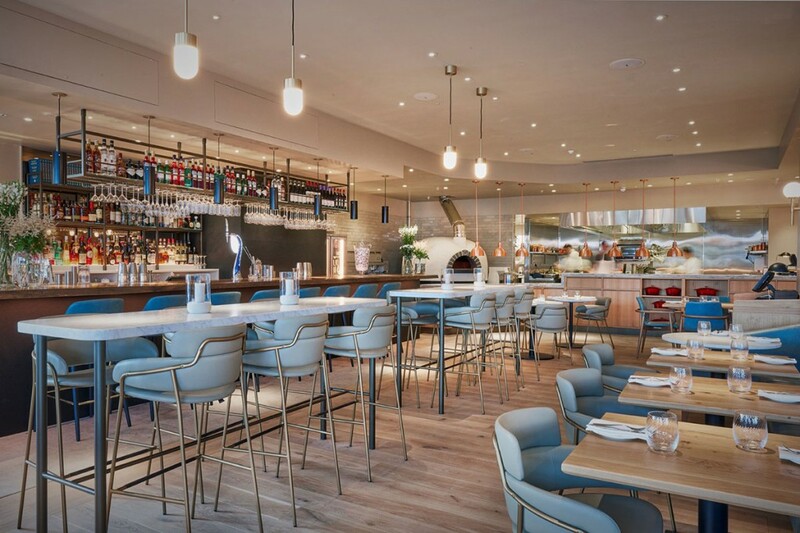 Inspired by the traditional food of Francesco’s homeland, the Mezzogiorno, the restaurant serves wholesome, hearty recipes made with fresh, vibrant ingredients from the Med. 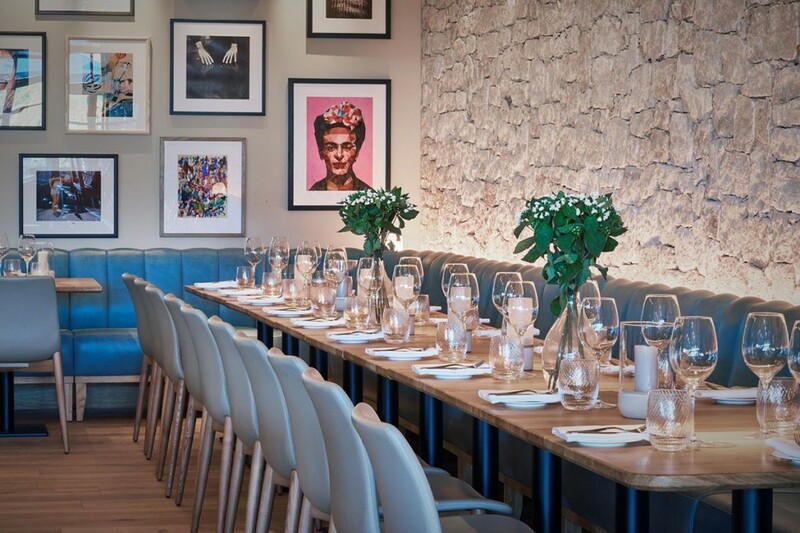 The lighting concept provides a light and airy ambience during the day moving to a very warm and cosy feel post-dusk.